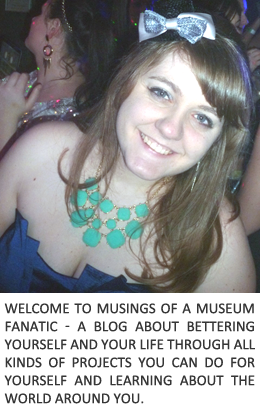 Musings of a Museum Fanatic: Speech! Speech! Once upon a time, I met Betsy and lived with her for two of our years at Valpo. The first year we lived together, we shared a small room in Guild Hall complete with the oldest set of bunk beds known to man. Betsy had the bottom bunk and I slept on the top and we would stay up late at night talking about everything under the sun. Regularly during these conversations we would discuss what I was going to say at her wedding. I would tease Betsy that I was going to come up with embarrassing stories or tell all her deep dark secrets which she responded to by kicking the bottom of my bed causing the whole thing to shake and making me very uncomfortable…lucky for me I don’t have a bunk bed to fall out of today so that pretty much gives me free reign. Betsy has told me on multiple occasions that she can’t believe how lucky she is to have found a guy like Kevin. And I get to see how lucky she is, every time the first word out of his mouth when he sees her is “hey gorgeous,” whenever I’m at a Stache’ show and I see him point to her whenever the band plays his and Betsy’s song, and when he looks deep into her eyes and it reminds me of how my dad looks at my mom after 35 years of marriage and four kids. But I think that Betsy underestimates how lucky Kevin is to have a girl like her... because I know how lucky I am to have her in my life. I remember during my first semester of grad school calling Betsy in tears, I was alone in Montana, my advisor hated me, and my Grandfather back home in Michigan was sick, Betsy simply listened on the other end of the line and I tried to talk in between sobs, she gave me hugs from afar and eventually calmed me down. Two days later I got a package in the mail, amongst the goodies was DVD of one of our favorite movies, homemade Rice Krispie Treats, and a handwritten note saying everything was going to be ok. It is true that Betsy is lucky to have found a guy like Kevin, and I’m not saying that Kevin is luckier to have found a girl like Betsy...but Kevin is luckier to have found a girl like Betsy. Admittedly, I may have a bit of a bias...In my defense I have had random Spice Girls dance parties with Betsy on multiple occasions. That hasn’t really happened with Kevin...yet. So...I want us to raise our glasses...to Betsy and Kevin...who are so lucky and blessed to have found each other. May they live happily ever after. Cheers.